There are numerous stories regarding the origin of the Vishu festival, the zodiac new year in Kerala. Most of the Vishu stories are associated with local temples but the most famous one is associated with the Ram – Ravan battle in the Ramayana. Legend has it that the Navagrahas were controlled by Ravana during his reign of Lanka. He had Shani imprisoned. It is said that Ravana was not impressed with Surya rising from the east and the rays falling on his palace without his permission. Ravana saw the intense heat produced by Surya as arrogance. Ravan decided go in for a war with Surya. A scared Surya agreed to not to shine on the palace of Ravana. This caused lot of difficulties for the people in the region. Surya arrived late daily and this caused havoc in nature. Crops were damaged. There was scarcity of food. 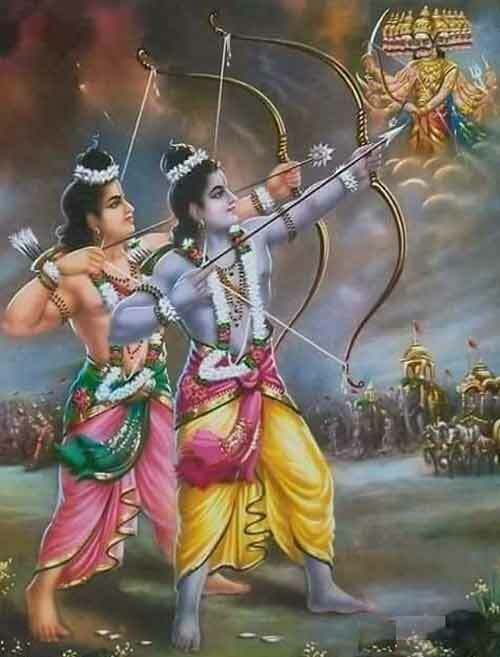 Then Sri Rama defeated Ravana in the epic battle and Surya started rising from the east on time. It is believed that people celebrate Vishu in remembrance of Sri Ram defeating Ravana and Surya appearing on time. The story just shows the importance of Sun in the lives of human beings on earth.